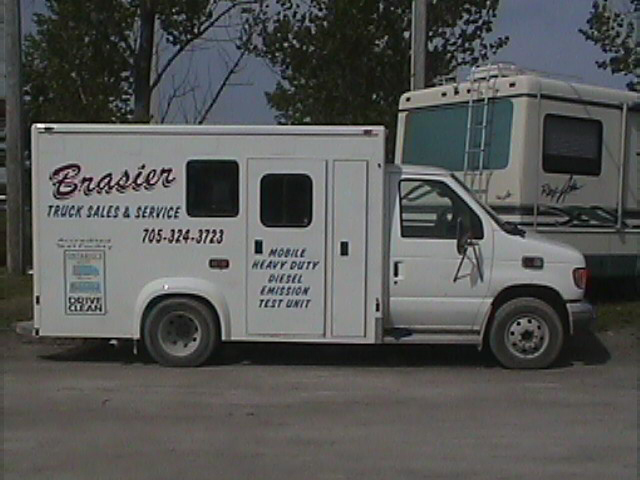 Heavy Duty Diesel Garage, Mobile Diesel Emission Test Facility and Trailer Rentals. Have 6 or more units to test, talk to us about onsite testing. Please call ahead to book an appointment. 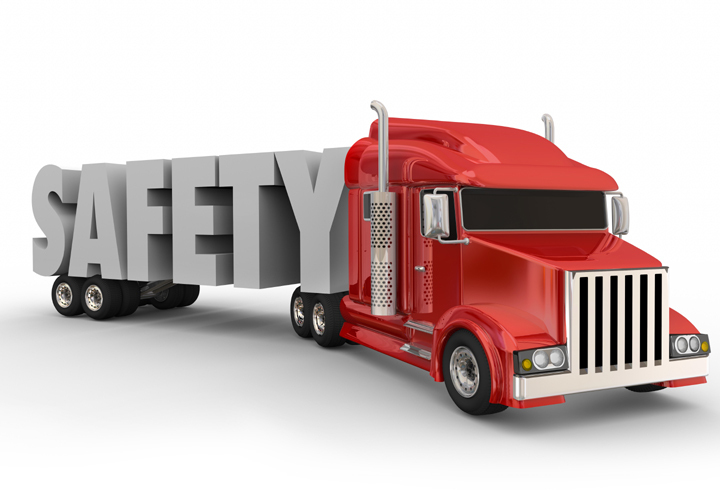 Safety standards have become more stringent and require additional time to complete. 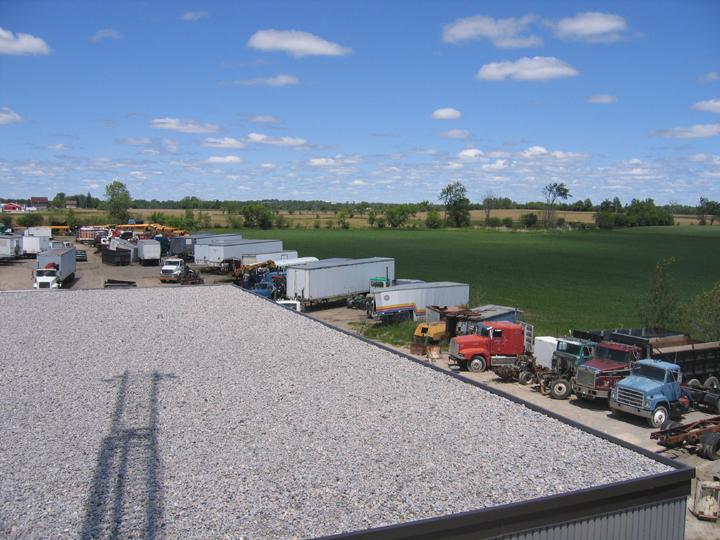 Our property is 5 acres and hosts a huge selection of used parts from numerous makes and models. If you’re looking for a used part please call and speak with service. We are an accredited mobile Heavy Duty Drive Clean Facility. Appointments are not always necessary but we do suggest calling just before coming to ensure quick service. If you have a fleet of vehicles talk to us about on site testing at your facility. A minimum of 6 units is required. Need temporary seasonal storage for your business? 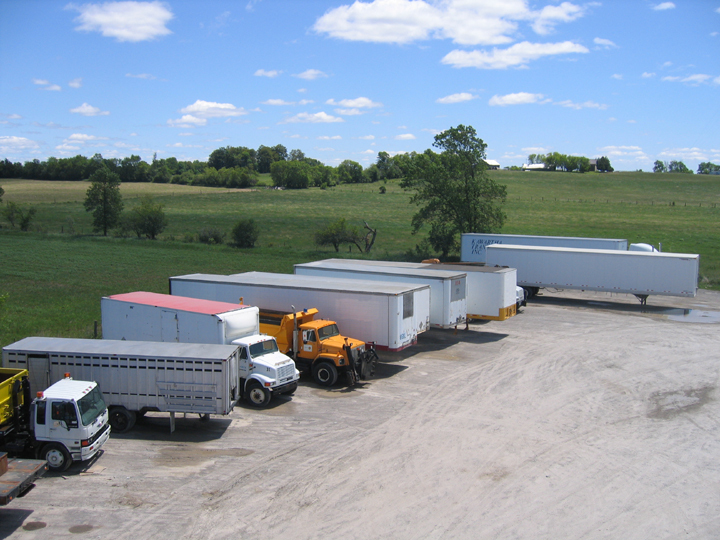 Mobile storage trailers are dry, portable and inexpensive. Short or long term rentals available. 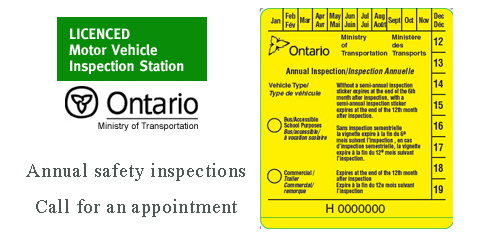 Safety inspection certificates for change of ownership and annual yellow safety stickers for commercial units. Call to book your appointments. Due to more stringent safety requirements inspection times have increased. Our large shop specializes in truck repairs, including commercial trucks, highway tractors and trailers. We have a large parts department offering OEM and aftermarket parts for most trucks and trailers. 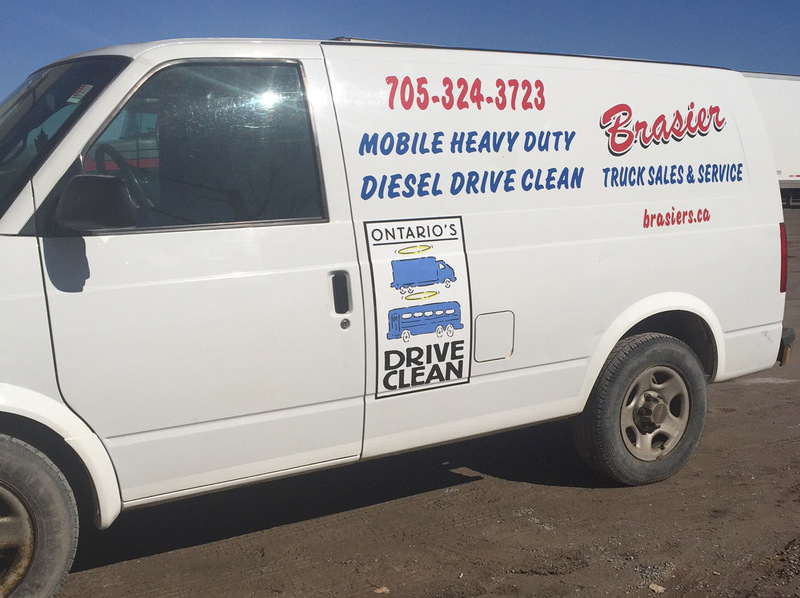 We are an accredited Mobile Drive Clean Facility for Diesel engines and an authorized MTO Inspection station. Emergency roadside service is available during regular hours. Offering general truck repairs, preventative maintenance service, electrical, drive line repair, clutch and transmission repair, brakes, bearing and seal replacement and annual safety inspections. Major and minor repairs to all makes and models. 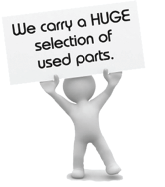 We have a large selection of new and used parts on hand to repair or service your truck. 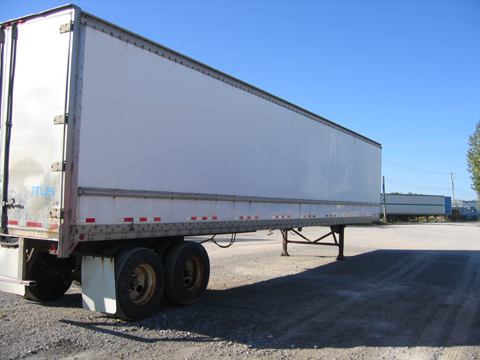 Rental trailers are available for business or residential purposes. Weather you’re moving or just need a temporary place to store excess inventory our trailers provide the perfect temporary storage solutions. Shunt service is readily available during business hours. We carry everything you need to keep your vehicle running smoothly. Stocking items include Batteries, Filters, Oil Products, Lights and Electrical, Mirrors, Starters, Wheel Seals, Bearings, Universal Joints, Clutches and Clutch Parts, Valves, Brake Material including Shoes, Drums and Chambers, Exhaust Materials, Belts and a complete selection of Hydraulic Lines and Ends.